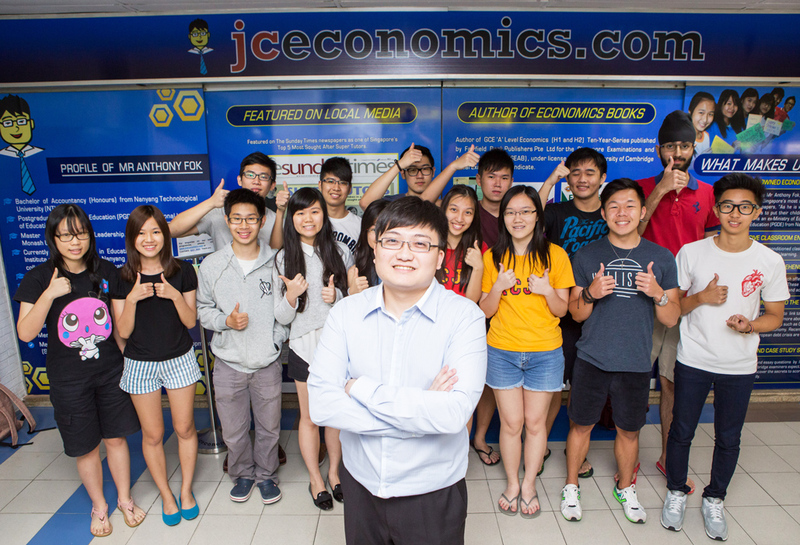 JC Economics Education Centre was featured on MediaCorp’s Channel 5 programme on 31 July 2015. 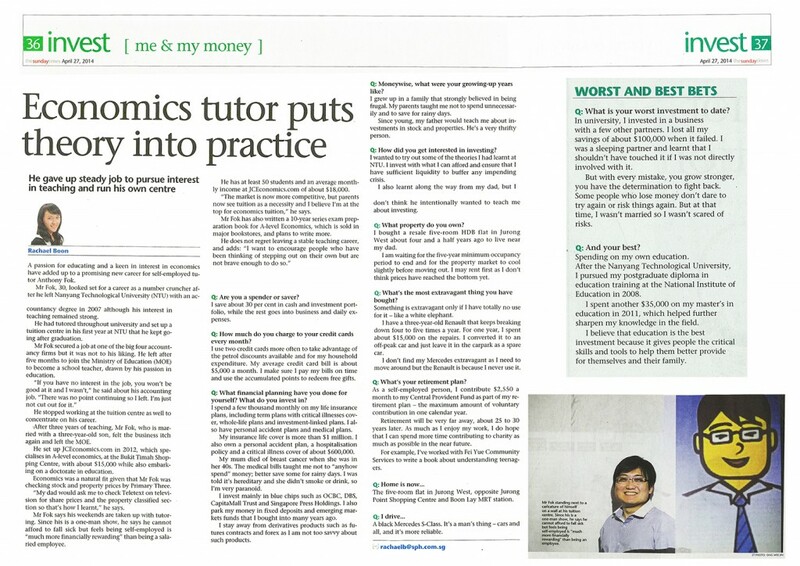 At Anthony Fok’s Economics tuition, students are in good hands as they are personally coached by JC Economics tutor Anthony Fok, who is a former Ministry of Education school teacher. We make sure that students are equipped with the required higher order thinking skills, comprising application, analysis, synthesis and evaluation. 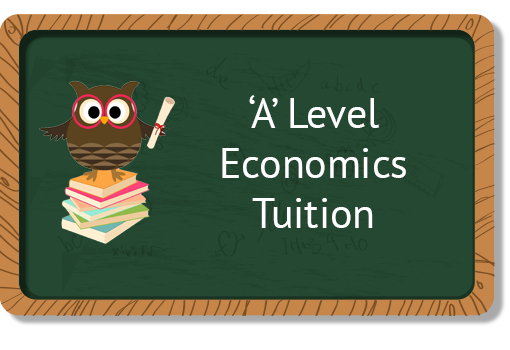 We teach students how to explain current economic trends using principles in textbooks, putting forth answers in an impactful argument supporting statements against contradicting views. In doing so, we are proud to have produced successful students who have gone on to graduate in prestigious universities such as the University of Cambridge and London School of Economics and Political Science. 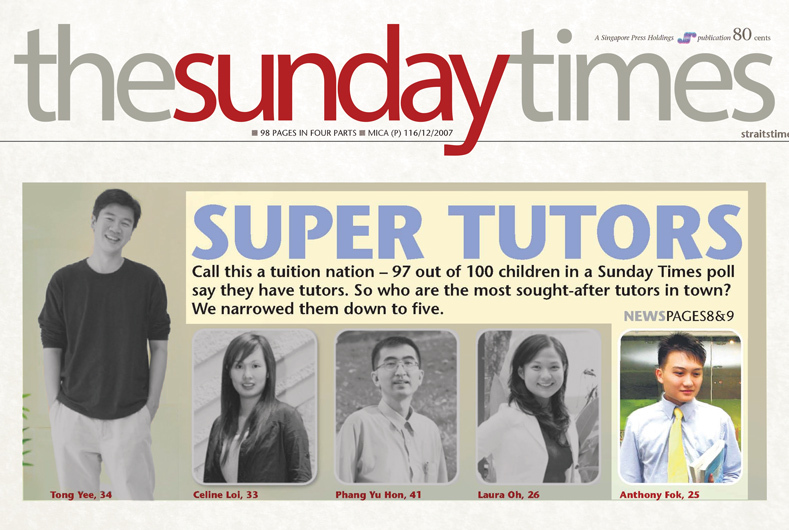 “As he is well known for his ability to deliver results, parents try all means to put their children in his class.” – The Sunday Times newspapers on 15 June 2008.